One of the most commonly misunderstood and MOST important aspects of purchasing a home revolves around the concept of agency – When a Real Estate Agent is involved in a transaction, who represents whom? It is important to understand that just as in a legal situation where an Attorney will represent and owe their loyalty to a specific party, a Real Estate Agent will do the same to either a Buyer OR a Seller. Confusion occurs when a Buyer does not understand that by law, Real Estate Agents ALWAYS represent Sellers unless there is a specific agreement to the contrary. This means that if you surf the Internet looking for properties or respond to newspaper ads and contact the Agent listing the property, in 100% of the cases those Agents will be loyal to the Seller’s interest, NOT YOURS. The same goes for Onsite Agents with new construction — they always represent the Seller’s interest (the builder), NOT YOURS. This is the case no matter how friendly, accommodating, or helpful the Agent may be. By law, they owe their allegiance to the Seller. What protection then doesa Buyer have if they would like someone to fight on their behalf? Use a Buyer’s Agent!! Often times builders will use their own forms and addenda and it’s crucial that not only does the buyer use their own agent to negotiate top dollar, but they also utilize this agent to make sure they are advised what they are signing. What is Buyer’s Agency? 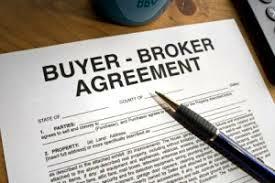 A Buyer’s Agent makes an agreement with a Buyer to exclusively represent their interests. The duty of the Buyer’s Agent is to fight for the best price, terms, and conditions for the Buyer client and to work on their behalf throughout the entire transaction. A Buyer’s Agent helps to level the playing field when it comes to negotiations. Buyer’s Agency is the purchaser’s opportunity to get the maximum amount of information for the buying process. As an example, a Buyer’s Agent can develop a Comparative Market Analysis (CMA) and share it with the Buyer showing what similar properties in the neighborhood are selling for. An Agent representing the Seller would never disclose such information, since it could compromise the Seller’s position. In negotiations, a Buyer’s Agent can be your complete representative giving advice based on experience. In contrast, if you deal directly with the Seller’s Agent, they can write your offer and present it to the Seller, but cannot suggest a price lower than the listing price. In addition, if you have given the Seller’s Agent any information (for example, the maximum price you would be willing to pay for the property) the Agent MUST relay that information to the Seller. A Buyer’s Agent would keep such information confidential. Why, then, is Buyer’s Agency not utilized by 100% of buyers? To a large degree, it’s due to a lack of knowledge on the part of Buyers. Some Buyers in a rush to “look at houses” surf the web in search of homes. Unfortunately, in many cases if they find a home that interests them they contact the Agent that has advertised the home and begin working directly with the Agent. A better tactic is to search for a Buyer’s Agent FIRST, then begin your home search. It may take a day or two longer this way, but will have someone in YOUR corner to represent your best interests when you find your dream home. Likewise, the Buyer’s Agent can arrange for showings of all properties that interest you (rather than you having to make all the separate arrangements) and can do much of the initial groundwork for you. Plus, a Buyer’s Agent is invaluable in the negotiation process and in coordinating all the activities and paperwork that come with buying a home. Who Pays for a Buyer’s Agent? Even though a Buyer’s Agent represents the interest of the purchaser, the SELLER pays for their services! How does this work? When a Seller lists a home, they agree to two things: first, that they will pay a commission if the house sells and closes, and second, if any Agent other than their Agent sells the home a commission will be paid to that Agent. The Seller pays the commission for both agents! With this new knowledge at hand, you now know that you need a Buyer’s Agent in your corner. If you would like more information on this topic or to get a free market analysis on home prices in a specific area, feel free to contact me anytime! 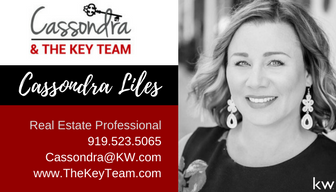 Happy home hunting and please let me know if I can help you in any way! !